Plus: Most brands keep it apolitical; Twitter's winners and losers; The in-person Super Bowl ad hours before the game. 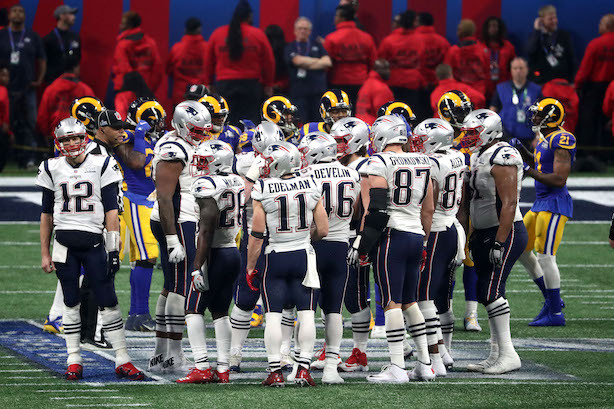 Super Bowl LIII wasn’t exactly the offensive explosion that experts predicted, with the New England Patriots winning their sixth title by a record-low score of 13-3. Brands also mostly avoided fireworks during commercial breaks, eschewing politics and hot-button issues and going for laughs instead. However, Bud Light’s advertising wasn’t a laughing matter if you’re a corn farmer. The beer brand’s claim that it is not brewed with corn syrup drew a quick and stinging rebuke from the National Corn Growers Association. The industry group shamed Bud Light on Twitter with the line, "America’s corn farmers are disappointed in you." These brands won’t get a ring, but Twitter has called them winners. Mr. Peanut drew the highest percentage of all brand-related tweets, according to the platform. The Bud Light crossover ad with HBO’s "Game of Thrones" prompted the highest velocity of tweets per minute. Marvel Studios’ ad resulted in the most retweets of a single tweet, and Frank’s Red Hot was the brand without an ad that drove the highest percentage of brand conversation. Twitter is also full of food snobs. Former White House Press Secretary Dana Perino found this out the hard way after tweeting a picture of her Super Bowl queso. The platform also universally hated Maroon 5’s halftime show and was befuddled by Michelob’s ASMR ad. One of the best Super Bowl "ads" took place hours before the game on Broadway. Skittles put on a musical production slash self-deprecating ad about Super Bowl marketing, and it was legitimately fun, according to PRWeek’s Diana Bradley, who took in the show.